I knew when I rescued a small cable spool out of the skip (dumpster) I would be able to transfer it into something special one day. 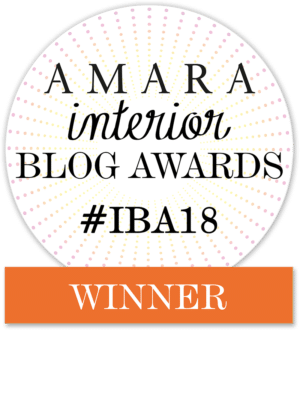 It may have taken me 18months to get round to it but I used it to make a stylish DIY floor pouf for my home. Recently, I had new velvet curtains made for my lounge. 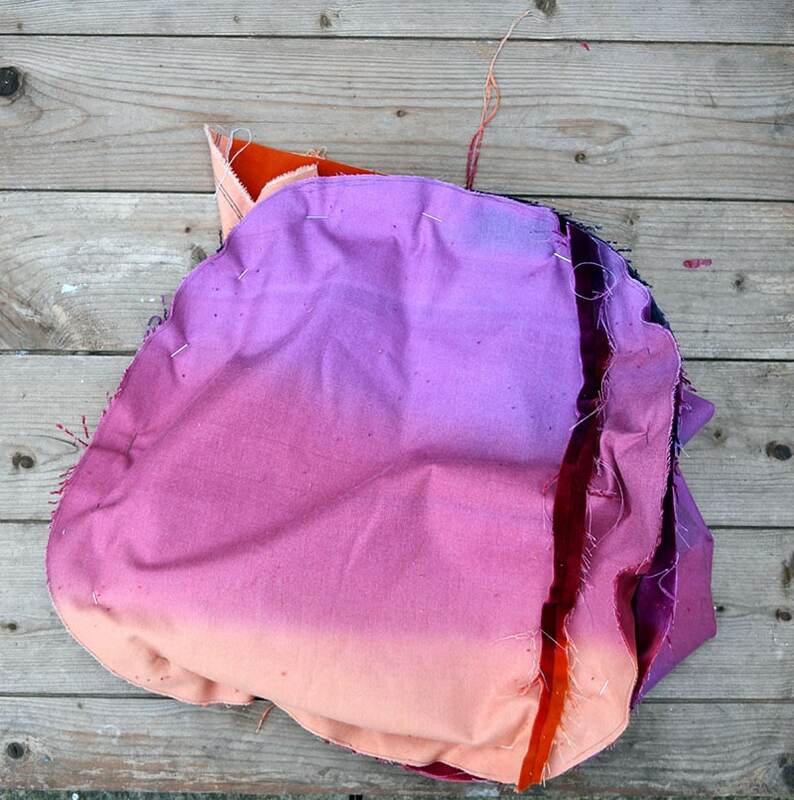 And it was the fabric remnants that gave me the idea to use them to make a floor pouf. The velvet fabric was so gorgeous and luxurious I just had to use it. It is an ombre velvet in Papaya/Raspberry/Loganberry by Harlequin called Amazilia. I’m also a fan of the current trend of metallic touches in home interiors. 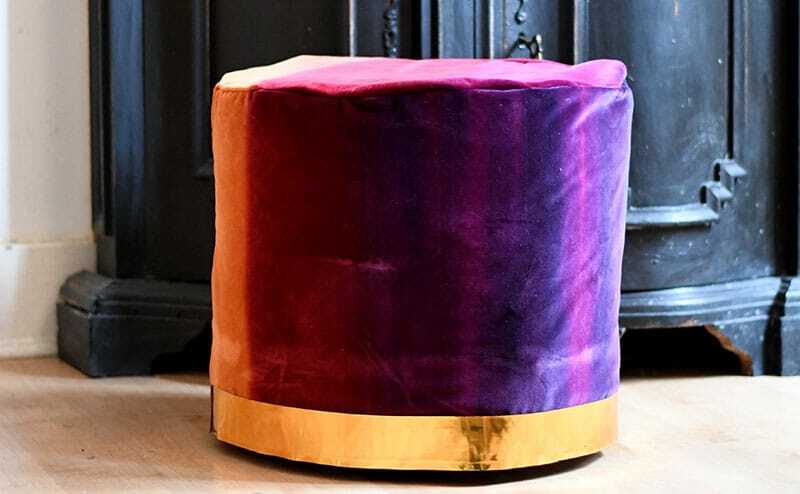 To enhance to the luxuriousness of the velvet I added a metallic gold band to my DIY floor pouf. 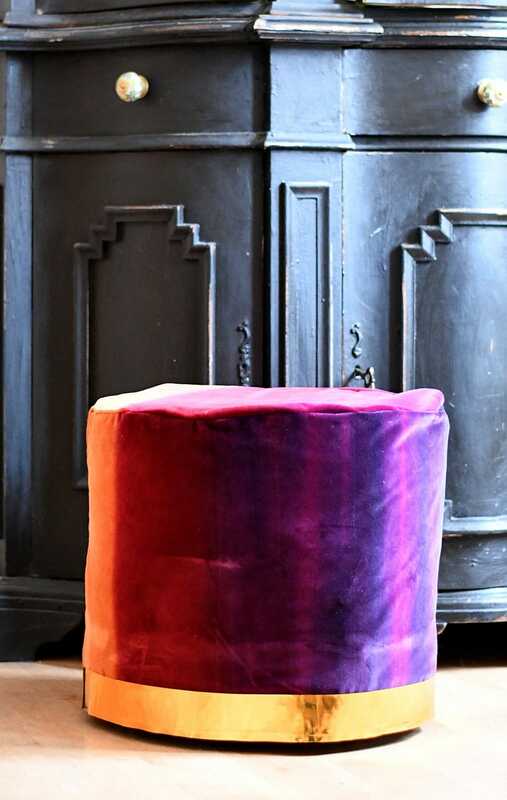 The floor pouf was relatively easy to make, very affordable and looks great in my home. The kids love it too as it’s on casters so they can whizz around on the wooden floors with it. Luckily the cover is removable so easy to wash if they cause any damage. 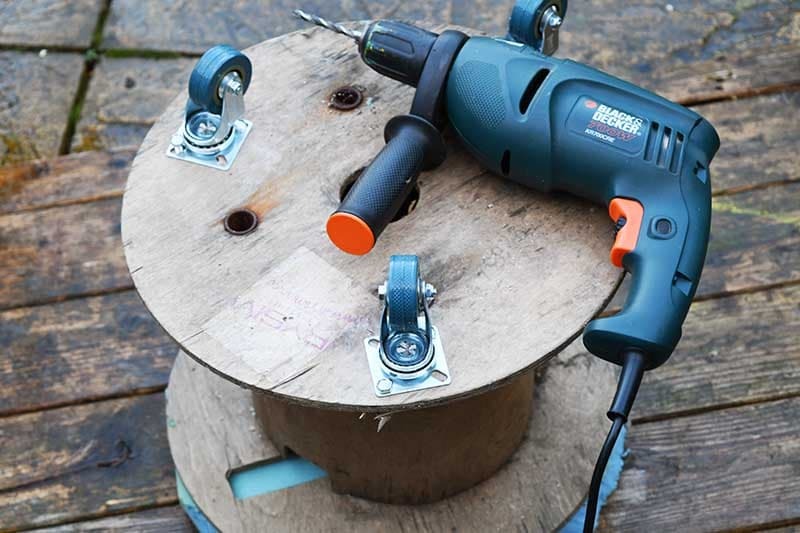 Small wooden cable spool – I found mine in a skip (dumpster). But I’m sure if you ask your local friendly builder they will happily pass one on to you as like pallets they tend to just end up in the skip. The first thing to do is to screw the casters to the bottom of the cable spool. Even though I had four casters I only used three in the end as this seemed more than enough. So that your ottoman/pouf is nice a soft, the next thing to do is cover it upholstery foam. Cut a dense piece of foam to fit the top and glue it down. Next secure foam around the edge of the cable spool. I used a mixture of glue and duck tape to hold it in place. Finish off the padding by covering the whole thing in some quilt batting. Now all you need to do is make the velvet slipcover. Measure the radius of the top of the ottoman. 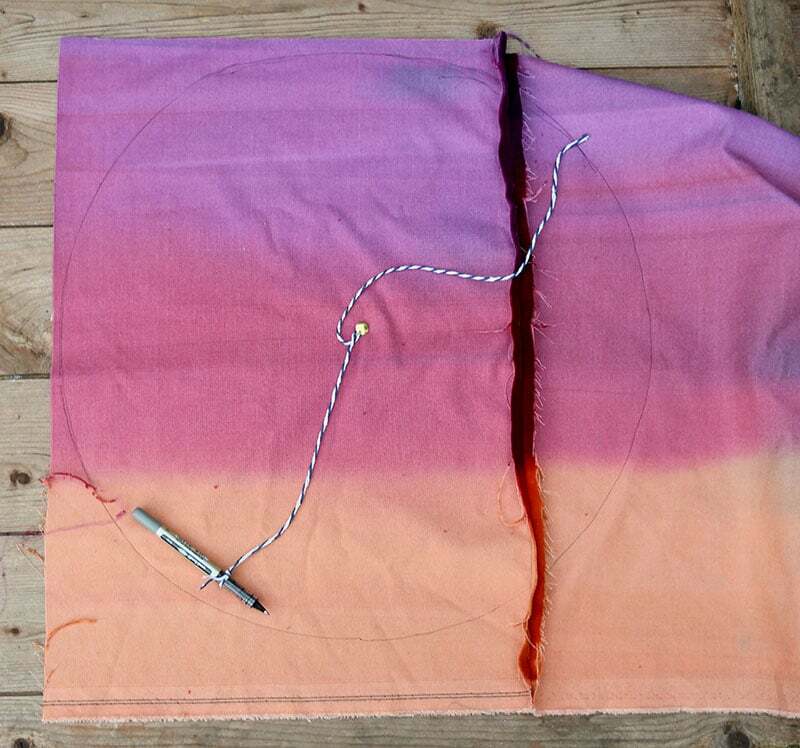 Then using a pen and a piece of string the length of the radius plus 1cm for a hem allowance, draw a circle onto the back of the velvet fabric. Then cut the fabric around this line. Next measure the height of the floor pouf and the circumference. 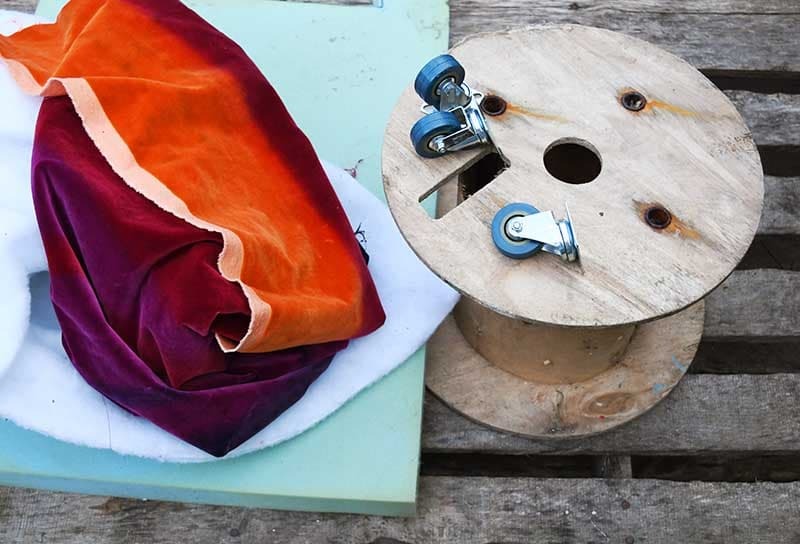 Cut a piece of velvet to these dimensions allowing for a seam allowance for both the top and for a hem at bottom of the fabric. Pin the side piece to the round top right sides together and stitch together. Then pin the open sides and stitch them closed. You should now have a velvet slipcover for the ottoman. Before going any further turn the cover right sides out and test that it fits. 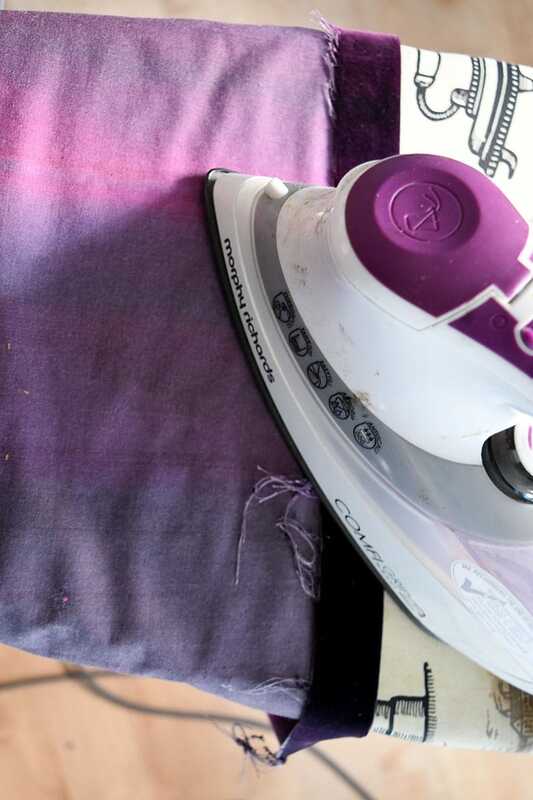 Don’t worry if its a bit long as the next thing to do is to hem it. I cheated and used a fusible webbing and an iron to hem the velvet slipcover to the right length. You can sew the hem if you prefer but I feel the ironed hem is neater. Finally to finish off the DIY floor pouf and to give it a bit of stylish glamour add some gold vinyl. 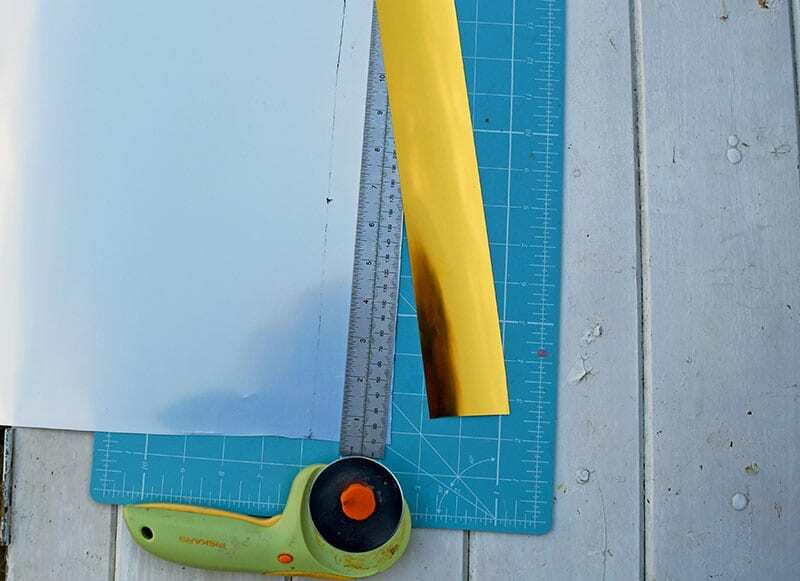 Firstly, cut the ironable gold vinyl with a rotary cutter into a stip about 2 inches wide and as long the circumference. The sheet of vinyl will probably not be long enough to go fully around the ottoman you will probably need 2 strips to make the full length. 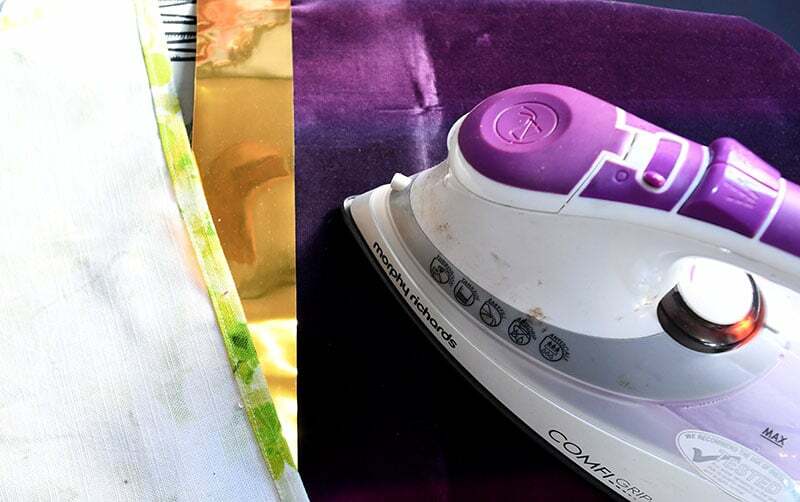 Iron the gold vinyl strip to the bottom of the velvet slipcover, according to the instructions that came with the vinyl. 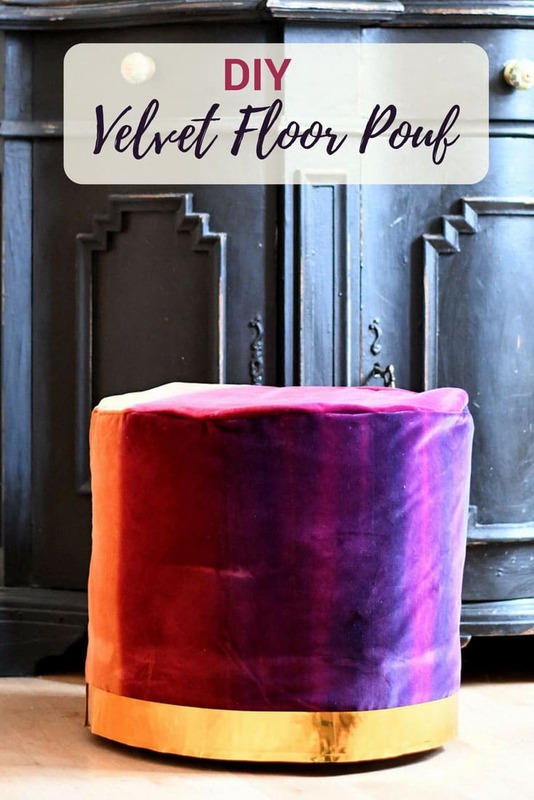 Even with the gold vinyl strip the velvet slip cover for the DIY floor pouf is washable at a cool temperature. The foam I used on the top of the ottoman was so dense it’s firm enough to also act as a side table. 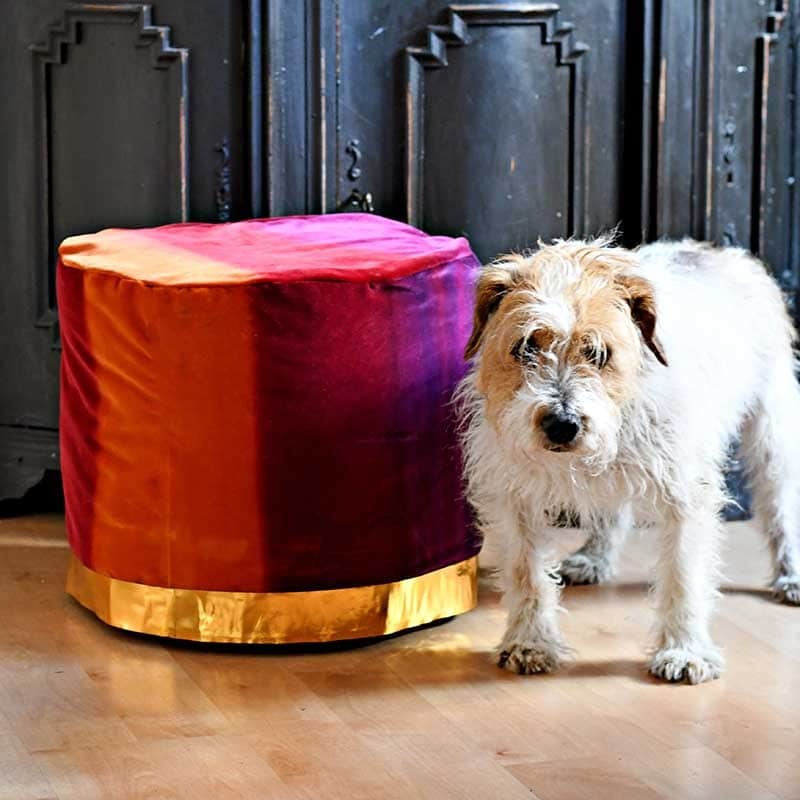 Like most poufs this is a really versitle extra piece of furniture, it can be used as extra seating, a foot stool and table. This isn’t the first ottoman/pouf I made, last year I made a rustic nifty denim DIY ottoman, which was an IKEA hack. Also there are more ideas for ottomans/poufs on DIYideacenter.com. Thank you, Rosie. I’ll be sure to visit. I love your pouffe. You did a fabulous job transferring a cable spool. I love, love, love it. This looks really fab. Love the colour of the material too. Well done. Very clever! Thank you so much, I do like the fabric. I’m so didn’t expect a cable spool to be the heart of that pouffe. Well done Claire. Wow, what a transformation and the fabric is gorgeous! Thank you so much, Nicola. When I first saw the photo I would never have imagined it was made from a cable spool. How inventive. Thank you, Stacey. Cable spools are the perfect shape. Ahh, thank you that’s very kind of you. Amazing to turn something so ordinary into something so glam! Oh my that fabric, I just love it. What a creative use for that spool, and I just tore mine up to make a simple clock…. thanks for sharing your project at #fridaysfurniturefix! This is beautiful, what lovely fabric. A foot stall/seat/table is such a useful bit of furniture isn’t it. Thank you, Julie. Yes on their tums down the long hallway, scrapping the walls as they go. The thing is they are not little kids anymore but big gangly giants. I love the color and fabric. What a wonderful and creative project! Thank you, the fabric is gorgeous! This floor pout looks so comfy and adorable. Luckily I have all the essentials required for making it. I will give it a try. Thank you, Seren and good luck with it. Toby doesn’t look very amused! Toby never looks amused, that is actually his happy face. That fabric is gorgeous Claire. It makes the pouf look so dramatic, like something you’d see in a sheikh’s palace. I’m thinking the Queen’s bedroom perhaps. 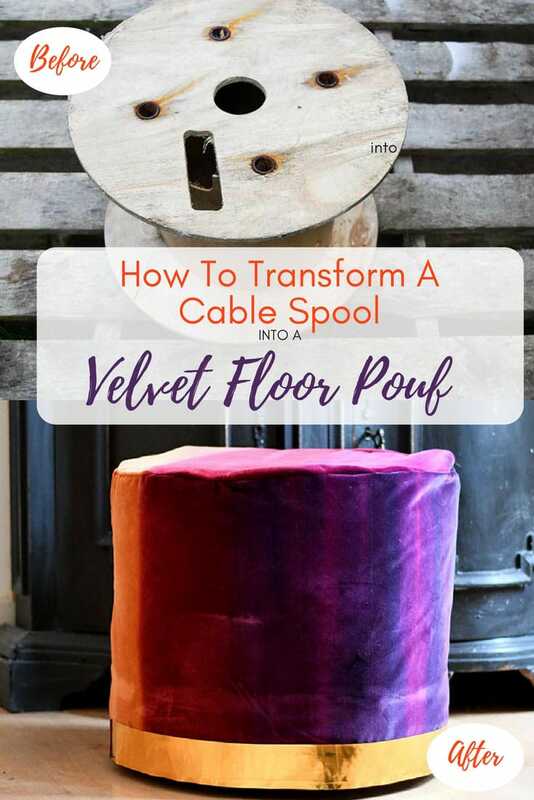 Love the idea of using a cable spool to make the frame for the pouf too. Thank you, Michelle. The cable spool did make it easy and the fabric has a lovely feel to it as well. Wow, so resourceful! I feel like you can never have enough poufs, right? Love the color. Thank you, Marissa. I agree with the poufs, I currently have 3 and that all get used. I’m working on one pouf per mamber of family, 2 more to go ! Can’t believe you found it in a skip! So brilliant that you’ve been able to make it into something 🙂 Great job. Thank you, Karen. It’s amazing what you can find in skips. Great idea! I love floor poufs and have wanted to make some for a while but I’m slightly intimidated. Yours is a great hack. Love the gold trim. Thank you, Victoria. It was relatively easy to make, the cable spool provides a great base.